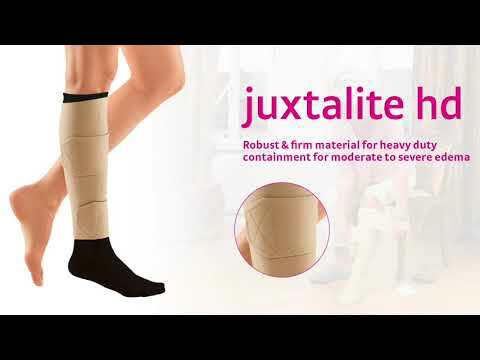 WHITSETT, N.C., April 16, 2019 /PRNewswire/ -- Medical device manufacturer medi® USA announced the launch of its latest innovative knee-high compression sock, duomed relax. This budget-friendly addition to medi's variety-rich duomed line of compression provides another option for energizing and improving leg health with guaranteed, graduated compression for active men and women. Available in 15-20 and 20-30 mmHg compression classes, duomed relax enhances the lives of patients living with mild to moderate venous health conditions comfortably and confidently, providing stability and relief at an affordable value. duomed relax provides superior comfort with a breathable material suitable for all-day wear that is also easy to apply. With extra padding along the heel and footbed, and a top band that fits the calf snugly for a no-slip fit, duomed relax provides the ideal economical, active compression sock. "We're thrilled to have a compression solution that is not only comfortable, but also incredibly easy to apply. Users will love to wear it, thereby increasing their compliance rates and improving their overall venous health," said Medical Compression Category Manager Maggie Moriarty. duomed relax is available in five standard sizes, in 15-20 and 20-30 mmHg compression classes, and in white or black. It joins a full range of value compression stockings offered by medi in its duomed elastic compression line. With 5 product offerings, 5 total sizes, and the most color options available – a whopping 10 within its portfolio - duomed has the broadest range for the best fit in an economy stocking. We also offer stylish patterns, unlike any other competitor because in a world full of exciting choices, it's nice to have economical variety! To learn more, visit the duomed brand page at https://www.mediusa.com/duomed/. medi continues to innovate amongst its diverse portfolio, creating compression solutions that improve the quality of life for every patient across all stages of venous and lymphatic conditions while standing behind its motto of "I feel better." medi USA is a medical products and technologies company focused on compression therapies for chronic medical conditions, athletic performance and fashion. The company is owned by medi GmbH & Co. KG, a leading manufacturer of medical aids, sports textiles and fashion products that combine precision effectiveness with maximum comfort. The corporate headquarters resides in Bayreuth, Germany. The company employs more than 2,400 people, manufactures product in two plants (Germany and the US), has branch offices in 19 countries, and exports product to more than 90 countries around the world.